As there was so much interest in the nail varnish I'll start with those first. 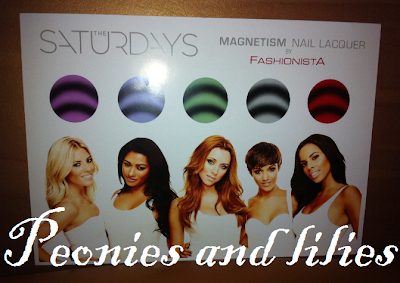 There are 5 shades, and Fashionista have teamed up with pop band The Saturdays. 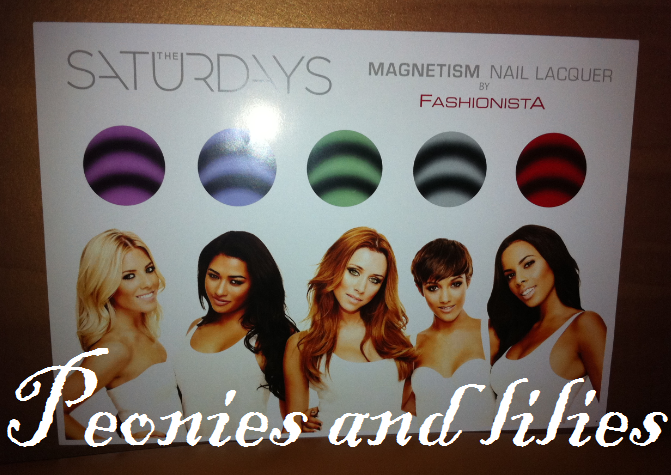 Each girls has their own colour and athough they are all beautiful, Mollie's purple shade remains my favourite one. 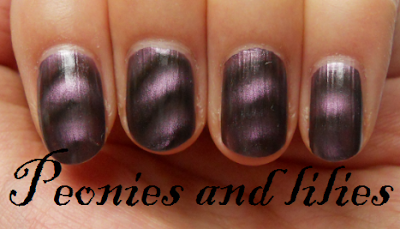 To create this amazing look, simply paint your nails like normal, then whilst it's still wet, hold the magnet over the top to create a ripple effect. Unlike some of the other companies, the varnish and the magnet will be sold separately, with the varnish retailing at £6 and the magnet £3. Another big concept from them is their custom design palette. They have a range of 49 eyeshadows and 12 blushers, which can be used separately or easily popped out and put into a 4 pan palette. This is very similar to MAC but unique to the high street. 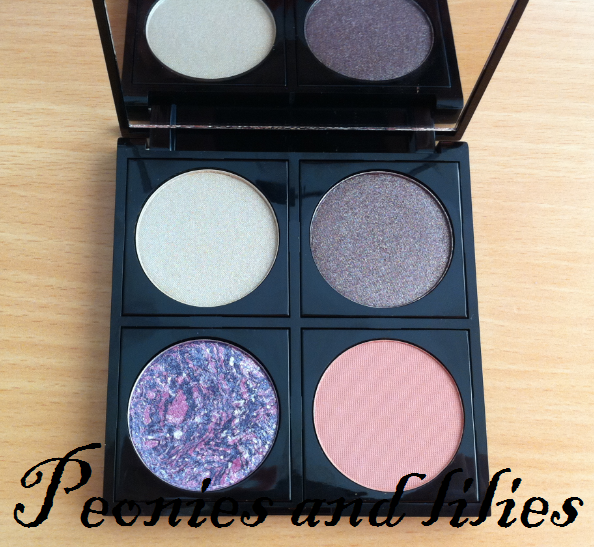 Each one retails at £4 but I would recommend buying 4 shades and a empty palette for only £12! Finally a quick look at the rest of the make up: there'll be a selection of primers, foundations, concealers, powders, eyeliners, mascaras, lipsticks and lipglosses. 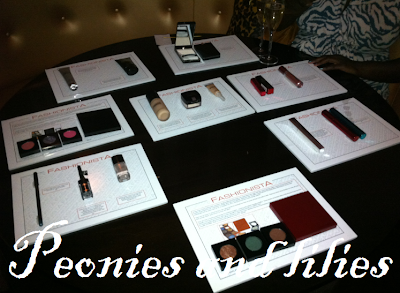 Prices range from £4 for a kohl liner to £12 for the foundation. FashionistA make up is available exclusively in Superdrug stores. 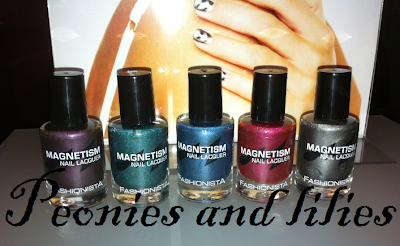 Are you a fan of magnetic nail varnish? What do you think about this new brand? Are you a fan of magnetic nail varnish? 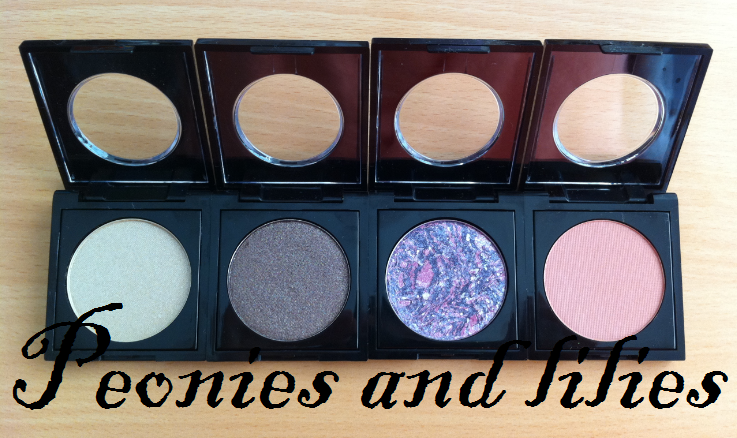 What do you think about this new make up range?